Click each link to learn more about each of these programs and events hosted or sponsored by Watermark! Begun in 1967, this popular annual event brings in artisan vendors from across the country to sell in Bemidji’s beautiful Library Park. Past vendors have sold paintings, sculptures, jewelry, woodworking, and more. Live music and food vendors round out this nostalgic summertime event! 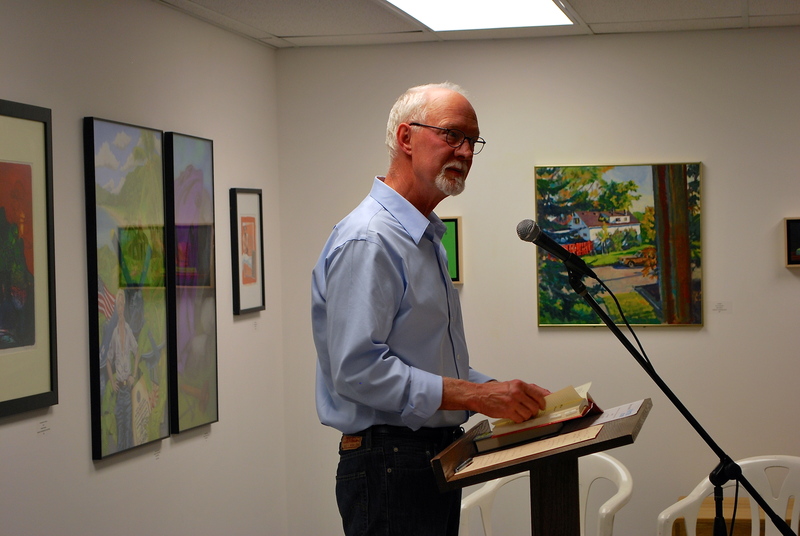 Our support of the literary arts features local and regional authors sharing from their latest work. We host several of these events throughout the year, often pairing them with workshops led by the featured writer. Watermark has hosted its juried ceramics competition and exhibition since 2002. Total awards combine to $1,600! There are also artist presentations and instructional demonstrations in the field of ceramics throughout the year. Explore your talent in the fiber arts with our annual festival–discussing everything from basketry to cavandoli, knitting, and more! This day-long conference includes education sessions and a tradeshow of craft vendors. Our co-sponsor for this event is Willow Wood Market of Bemidji. This monthly event gives people the opportunity to get out and about in Bemidji! Local businesses and home studios create art displays and host receptions for public participation. Watermark helps organize and coordinate First Friday, providing maps of each month’s participants and publicizing the event. Instituted in 1989, this event honors a local individual or couple who has given generously of their time to promote the arts. Individuals are nominated by local citizens, then selected by a community panel. A photo of each recipient is displayed in the Bemidji Public Library community room.